Fighting Fantasy gamebooks have sold over 17 million books worldwide, in over 30 languages. YOU were the hero in The Warlock of Firetop Mountain, fighting monsters and foes with a pencil, two dice and an eraser. And now – YOU ARE THE COLOURIST! 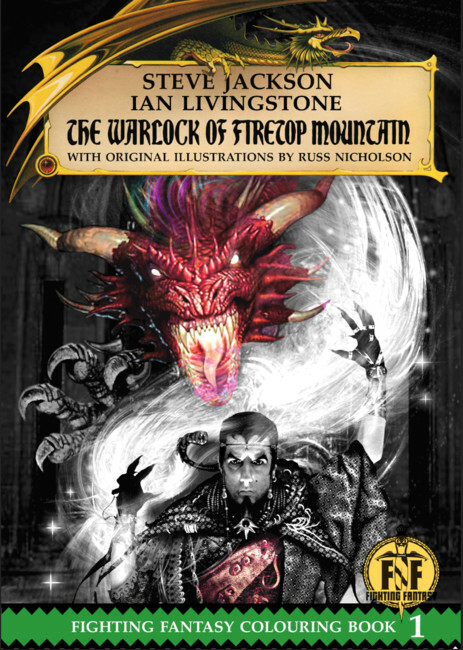 Bring your favourite trolls, dragons and even the Warlock himself to life, colouring the original emotive illustrations by artist Russ Nicholson.